If you’re looking for the best winch for your jeep, you’re in the right place. We have years of experience utilizing winches (like for ATV/UTV here), and we put that to use by reviewing and selecting the top five available today. But first, study our guide to learn more about how to pick the best winch for your jeep. When you’re off-roading, it’s easy to get into trouble. 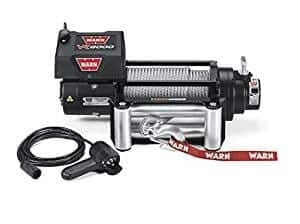 The answer to get you out of trouble is a winch that has power and is tailored to your vehicle. After all, when you’re out there in the wilderness, you need something pulling for you, right? What Features Should You Look For in a Jeep Winch? Rated Line Pull: This is the winch capacity, determined by the drum line’s tensile strength and the winches’ mechanical capacity. 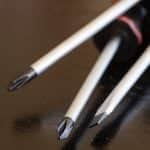 Unless stated otherwise, the capacity refers to the winch cable’s first cable, the one nearest to the drum. Most winches have 3 to 4 layers, with layer one having the biggest pull and lowest ratio. 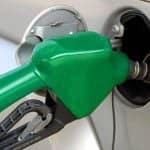 Power: To find the right pull strength, multiply your vehicle’s gross vehicle weight by 1.5. This is the amount of power you need. Line Length: The longer the drum line, the longer you’ll be able to reach out. Since the first layer has the most pull, you’ll need to pull plenty of cables. But long lines increase the risk of getting tangled or jammed. Unless there’s a specific reason, it’s better to go with a short line. You can always buy an extension if the winch comes up short. Bottom line: Once you have obtained the GVW of your vehicle, get a winch with around 100 feet of rope on the drum and an extension (50 feet will do nicely). This will be sufficient for most tasks. What is a Winches Average Line Speed? Winches unload quickly, but under-load is a different story. 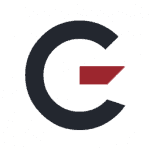 Line speed average is around 2 to 5 feet per minute, irrelevant of how fast the unloading is. There are winches with faster line speeds, but this requires more power. What about Winches Motor Power? Winch motor power is measured in horsepower, and the higher the HP, the more powerful it is. Low gear winches have low speed and high torque multiplication, while high gears have the opposite effect. If you want a fast winch with plenty of pulling power, get one with a powerful motor and high gears. A high gear winch has more amps for loading. The bottom line is you have to compare unloaded and loaded line speeds with amperage draw to determine the ideal winch for your jeep. Electric winches use series wound (SW) or permanent magnet (PM) motors. PM motors are cheaper, more vulnerable to heat, and have lower amp draw power. PM motors’ performance is severely affected by cold weather as well. Because of these limitations, PM motors are good for occasional use only. For heavy duty applications, SW motors are the better choice. They are stronger, have more power, and are dependable. Two options are available, synthetic rope and winch rope. Quality is determined by the material’s tensile strength and diameter. Most have diameters of 5/16, 3/8, and 7/16-inches, both for synthetic and wire ropes. Spur Gear: These winches are equipped with spur gears — a small one on the shaft and a larger gear on the motor. 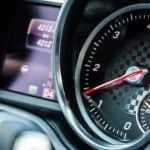 Spur gears’ amperage draws are low, but they are fast. 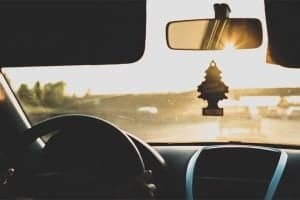 Internal gear friction is low and a strong brake is needed to maintain the load. Spur gears are no longer widely used. Worm Gear: Some light 4x4s use worm gears, though with modifications. Spur gears are used to connect the worm gear to the motor, and it’s efficient at holding loads. It’s also good at lowering load and only needs minimal brakes. The drawback is worm gears are slower than planetary and spur winches. Planetary Gear: Planetary gears are low cost, lightweight and compact. In terms of amp draw and drivetrain, they’re better than spur and worm gears, which is why they are widely used. The only drawback is they have a brake in the drum, which heats up under load. 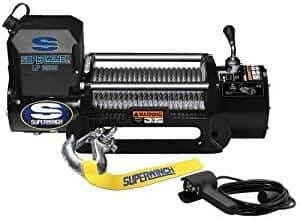 The Superwinch Gen II is an entry level 4 x 4 utility winch, with a pull rating of 8500 lbs. It has a 4.5 HP sealed motor, and a 94-ft. steel wire rope that can pull jeeps, RVs, and trailers. 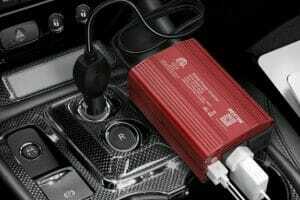 The unit can be easily connected to your jeep’s battery. The Superwinch Gen II also comes with a lever action-free spooling clutch that simplifies motor disengagement. The clutch also lets you manually pull as much of the rope as necessary. 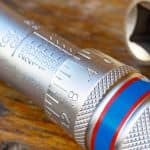 A thimble and latched hook are included to make winching easy. The Superwinch Gen II also has automatic braking and loading to reduce wire rope slipping in case of a power surge or failure. A circuit breaker is also built-in, so you can use the winch regardless of the weather. The Smittybilt XRC has a pull rate of 9500 lbs. There is enough power to pull a 2004 GMC Sierra and other vehicles in this weight range. It has an IP67 rating, and its waterproofing lets you use it in torrential rain, chilly snow, and thick mud. Wherever your jeep gets stuck, there’s a good chance the Smittybilt XRC can pull it out. Its single-line remote allows for convenient control, and the 6.5 HP series motor packs enough juice for heavy duty pulls. The Smittybilt XRC weighs 78 lbs. and its bulk is an indication of how good it is. The instructions are easy to follow, so installation is quick. 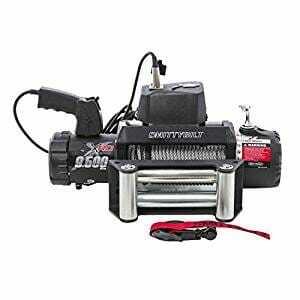 The Smittybilt XRC winch responds to the corded remote well, and you can pull a 4500-lb. vehicle without difficulty. The VR10000 has a capacity of 10,000 lbs. It’s suitable for jeeps, SUVs, and heavy trucks. The remote control is good for a distance of 12 feet, sufficient for most winch jobs. The grip handle is also ergonomic and rubberized for comfort. 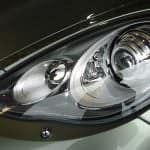 The sealing has been improved from previous versions, so it is now more resistant to mud. You can remove the control pack and mount it on the winch or another one on the vehicle. This is a feature unique to the VR series and gives you more control over the operation. The VR10000 winch also has a 3/8-inch diameter, 100 ft. Spydura rope for heavy duty pulling. It has a 3-stage planetary gear train and combined with the low-profile, it fits most SUVs and trucks. 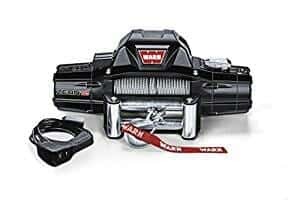 The winch also has a limited lifetime warranty. The Zeon has a pulling capacity of 12,000 lbs., which is ideal for jeeps, large trucks, and other large vehicles. It is waterproof and works in any kind of weather, and the capacity indicates the Zeon is for heavy duty use. The synthetic rope is lighter than steel, but it doesn’t compromise in power as the specs show. Usage and installation are easy, and a wireless remote is optional. Installing the rope might take some getting used to if you’re accustomed to cable, but it’s not a major issue. The roller fairlead is included and you can hook up the control pack on the winch or use it remotely. The aluminum winch drum is light and extends the rope’s lifespan. The Zeon also has a powerful motor for pulling in difficult situations. 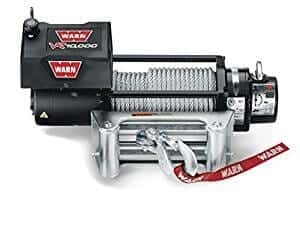 The Warn VR8000 is an entry level winch, and at 8000 lbs. 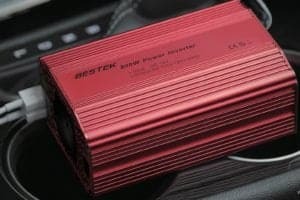 has enough power for jeeps and light trucks. Line speed is good and the solid design makes it a dependable partner for outdoor adventures. Apart from the rapid line speed, the VR8000 is equipped by a series-wound motor for superior performance. The VR8000 has a custom brake design for easy winch management. Its remote control has a 12-ft. lead and like the others in the VR series, the VR8000 has a 94-ft. rope with a diameter of 5/16”. The only possible drawback is its limited capacity, but for entry level winches, it’s on par with the rest. Finally, it uses a 3-stage planetary gear train for durable, smooth performance. There are many ways to measure the value of a jeep winch, but the most important is the capacity. With this mind, we give the nod to the Warn 81920 Zeon. Most entry to midlevel winches are in the 8,000 to 10,000 lb. range, but the Zeon goes up to 12,000. If your jeep has ever been stuck in mud or snow, the extra power will come in handy. Power aside, the Zeon is also easy to install, and the lightweight design makes it convenient to set up. Even if you don’t think this kind of capacity is needed, it’s good to have this kind of power in case of emergency. Note: Winches are not everything – do not forget about the old good Hi-Lift jack, it’s a jeep icon and can save you many times.